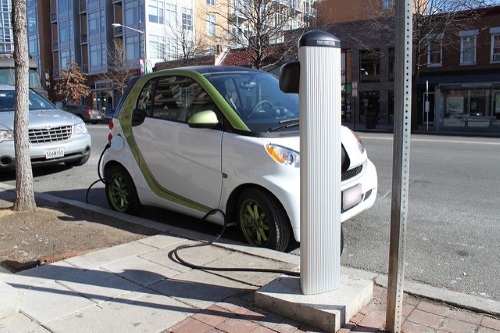 To help foster the construction of electric vehicle infrastructure nationwide while mitigating the electrical load implications on utility companies, the Smart Electric Power Alliance is launching a new “transportation electrification” program to bring utilities, regulators, automotive sector representatives, charging infrastructure providers, and other stakeholders together to discuss and find solutions to those challenges. Collaborative private sector efforts to coordinate EV infrastructure developed is being mirrored in the public sector, especially by the “REV West Plan” launched almost two years ago by governors of seven western states to create a “regional electric vehicle” corridor comprised of more than 5,000 miles of highway across east-west Interstates 10, 40, 70, 76, 80, 84, 86, 90 and 94, and north-south Interstates 15 and 25. And pre-dating the REV plan was the joint effort by the Washington, California, and Oregon that established the West Coast Green Highway coalition nearly a decade ago.